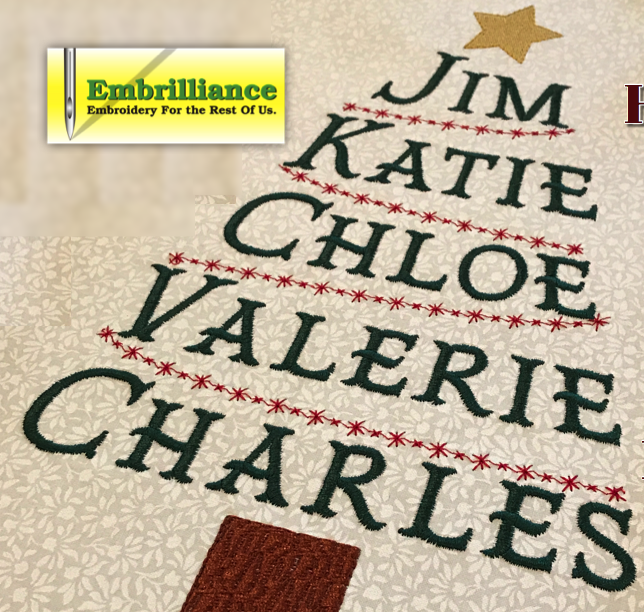 I am working on holiday embroidery projects and I am certain that I will be stitching many of them at the last minute! It happens every year. I’ve been in the sewing/embroidery industry long enough to know that I am not the only one happily stitching away in my sewing room making memorable and personal gifts for ourselves and others in our lives. 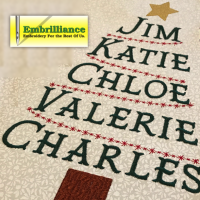 So yes, I am always on the lookout for quick projects using Embrilliance Essentials that have a personal touch. I had seen a project done with family member names in the shape of a Christmas tree and knew it would be easy enough to do in my Embrilliance Essentials software. It was so easy in fact, that I created a video for the Embrilliance youtube channel showing how to do this! Create a lettering object in Essentials for each name in Block font. This allows you to sort them in your design page by length. Once I had them all typed out, I moved them around my design page so that they resembled a “tree” – it was by no means perfect at this point – cut yourself some slack. Be aware that your font choice can change the length of names! Use the longest name to choose your font. Trust me, if you do the short names first, you will fall in love with the selected font and will feel bad and stressed when you get to the longest name and it doesn’t fit. When choosing the font, if you are going to be slanting the first and last letters as in this video, look at the first and last letters of each name. I chose Mr Darcy by The Itch 2 Stitch because the small letters were also capital letters just smaller and with my names it worked. There are NO RULES in machine embroidery! Embrilliance Essentials allows you to be as creative as you want! If you have a long list of names, its OK to put a couple of the short names on the same line with a space between. Maybe that is a sign that you can strategically place small ornaments as commas or decorations! In my case, I call my son Jimmy even tho all of his adult friends know him as Jim – I hope some of you are smiling because you are in a similar situation. So when I first made my list, Jimmy of course was in there and my tree just didn’t work without creative intervention. Putting SHAW at the top was an option or maybe 2017 for the date! I chose to use his adult name so that it worked. I’m just encouraging you to be creative! Using the Group function on each name (or each line) is a step you will want to do. 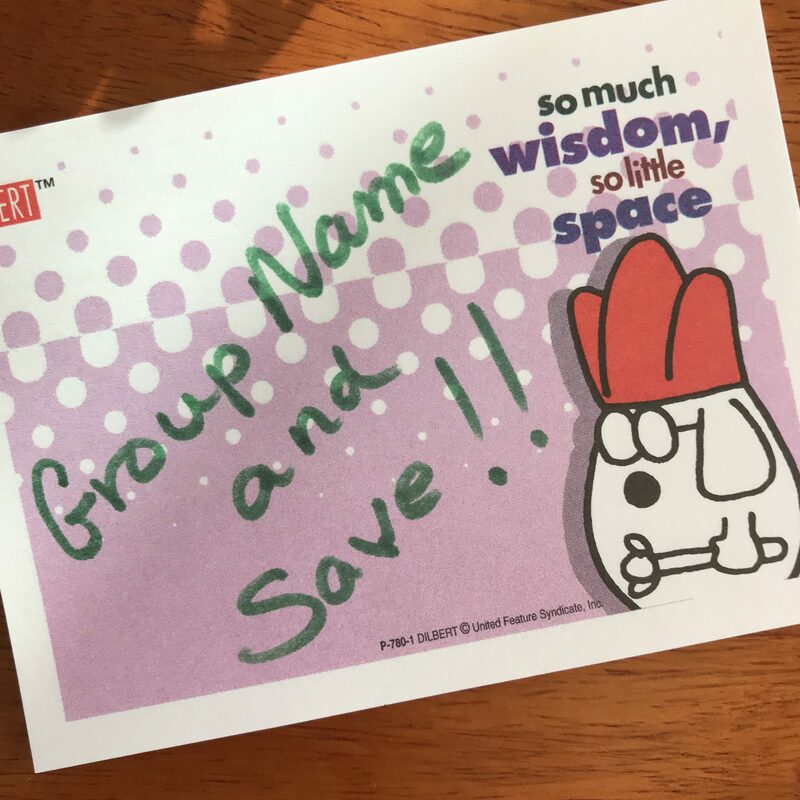 Trust me, when you forget and one letter object gets moved for the 15th time, you make a sticky note that says “GROUP NAME THEN SAVE” and stick it to your monitor! Don’t get hung up on exact size and centering. I used the grid lines and precise placement of Enthusiast to make sure that the names were even along their bottom and then grouped them. However, lining up the names into the tree was done visually because when they were centered, they didn’t look like they were centered and it was driving me mad. So I turned off my grid and hoop once all the names were “mathmatically centered”. Then I selected the name that was “bugging me” and used the left and right keys on the keyboard to move it so that it looked balanced. And THIS is when you are very happy that you used the Group function! If you have any OCD like I do, sometime helpers like the grid can cause stress – so I turn it off. I hope that you enjoy this project and find my extra tips and insights to be helpful! If you are looking to purchase any of the Embrilliance programs, I would surely appreciate it if you used my affiliate link to make your purchase. I make a small commission on your purchase on the Embrilliance website which allows me to continue creating free tutorials, videos and how-to projects. THANKS! Happy Stitching! Whoo Hoo Day 4 of the challenge is complete!